Oh My Goodness!! We were chosen to be part of the Show Your Disney Side Celebration!!! 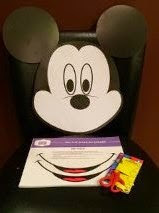 I received free products in order to host a Disney Side @Home Celebration. The opinions expressed here are my own. Since we just got back from a once in a lifetime Disney vacation just a few months ago this is great! We are having some Disney withdrawal and I’m hoping the package of goodies will help ease our pain. So are you wondering what all this amazing package entails? Well wait no longer! Read on for some details. away. I love Disney and all things Disney and I love this box. When I first opened it all I could see was purple crinkle paper. 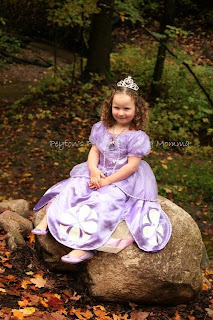 And I instantly thought of Sofia the First. My second thought was Rapunzel. But as I dug deeper and deeper into the box I found out my first guess was right. 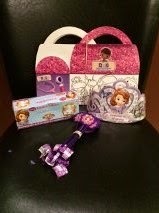 We had been given a Sofia the First themed box! Peyton loves Sofia the First. That was our theme last year for her 4th birthday. I must say I am extremely impressed with this box. They thought of everything! It was great they included invitations to hand out to those we wanted to invite. I feel getting an invitation from Disney helps to get people excited. I know it got me excited! 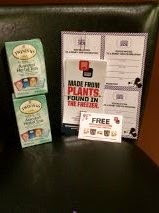 I also liked the inclusion of coupons to try out a new product not only for us (so we can use it at the party) but for our guest to take home. Everyone likes leaving a party with a little something. And what a better way for the guest to try and recreate the dishes I made than to help them along with a coupon for one of the ingredients? One of my favorite things they included was 2 boxes of assorted Twinings Herbal Teas!! I am a big tea drinker so this was such a treat for me. Disney even thought of sending along some great games for the kids to play. I loved put the smile on the Mickey. 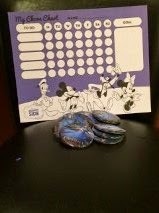 We also had game cards and directions for Disney Side Bingo and a Disney Attraction Matching Game. All great games that were age appropriate for pre-schoolers. I appreciated they included a safety scissors so my daughter was able to help get ready for the party. She just loves to cut paper up and actually did a pretty darn good job cutting on the lines. What a great way for her to work on her fine motor skills. Now that we had the invites and games down I was still unboxing items and squealing with delight with more that I was discovering. Disney was even so generous as to send presents for each and everyone of my guest. Each guess will be leaving with package of photo paper and some luggage tags they can make/use for their next adventures! Also included was a Disney Parks DVD. I personally love watching the DVD and remembering all the fun we had on our October vacation. And now it makes me want to start planning our next trip, even though we won’t be returning until November 2016! Even if you are not planning a vacation to Disney the DVD is a great watch just to see everything that is available and all the changes. child to help around the house. I’m sure kids may feel a little differently. 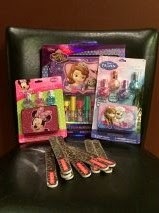 We were also sent enough nail polishes and lip glosses to set up a mini princess make-over station at our gathering. We had Frozen nail polishes, mini mouse polishes, tons of Sofia the First lip glosses and nail files to help make every little princess’s nails look beautiful. book. 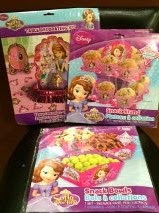 And a mini figurine Princess Palace Pets. 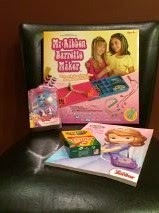 Also included was a barrette maker which I plan on using to make some adorable barrettes for my daughter’s first day of Kindergarten. I am already thinking this is a great box and an amazing party is going to be had. But there was more! Disney even threw in everything to decorate the table. They sent me plates, cups, napkins, a table cloth, treat containers, cupcake stands, place mats and table top decorations to make my table every little princesses dream come true. 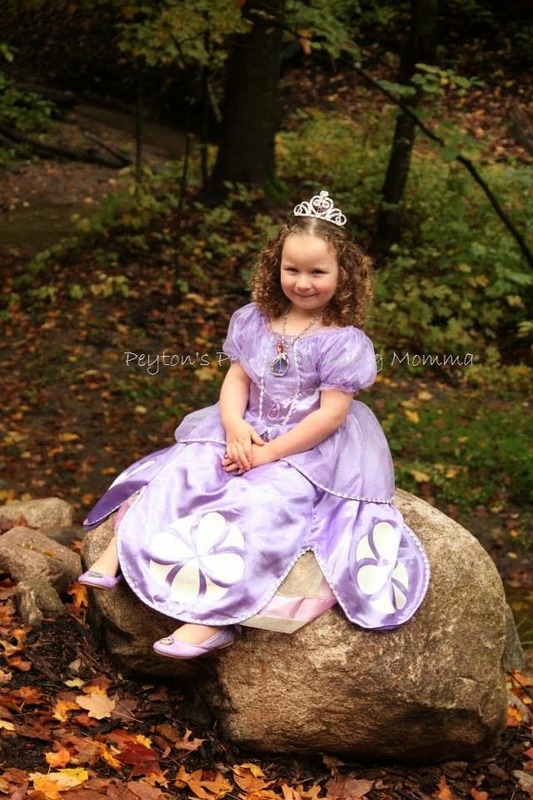 well as princess tiaras party hats and Sofia the First wands. 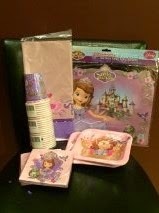 Even Sofia the First sandwich bags to help send home some of the left overs with guest. 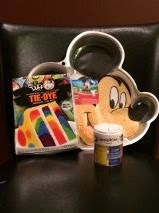 Now one of my favorite things I found in the box was the Mickey Mouse cake pan! I have always wanted one. And now we can make our very own Mickey Mouse Cakes or giant rice crispy treats!! The Duff tie dye cake mix looks pretty amazing too. As well as the sprinkles I can use to decorate it. Disney really did think of everything when designing this package. 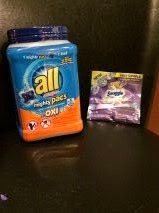 They even sent All laundry soap and Snuggle! I have a feeling they are expecting there to be a fair amount of dirty clothes from this shindig. So I appreciate sending along some product to help clean up. This really was an amazing box. More than I ever expected when I agreed to host an event. Disney also provided a website for us to pull recipe ideas off and even more printable projects. My daughter and I are so excited to be hosting our Disney Side event. Thank You Disney and all the wonderful Sponsors that helped put together this event. You did an amazing job! 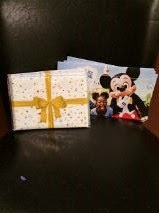 I received a box full of wonderful goodies from Disney and their sponsor to host a Disney Side Home Celebration Event. Regardless, all opinions expressed are still 100% my own. I am disclosing this in accordance with Federal Trade Commission 16 CFR, Part 255 Guides Concerning the Use of Endorsement and Testimonials in Advertising.